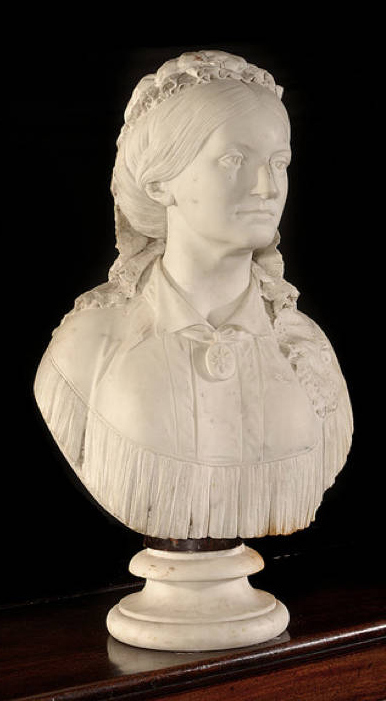 Mary Peal by Joseph Durham (1814-1877). 1877. Marble. 29.9 inches (76 cm.). Photographs courtesy of Bushwood Antiques, Stags End, Gaddesden Lane, Hemel Hempstead, Hertfordshire HP2 6HN, which retains copyright. Readers may wish to visit their website. Click on image to enlarge it.